We’re now getting close to naming Missosology Timeless Beauty 2018! But for now, it is time to reveal the esteemed panel of judges who will choose the next Timeless Beauty. This beauty queen-model was crowned Miss International 2008 in Macau, making her the third Spanish beauty to win the Big5 crown. 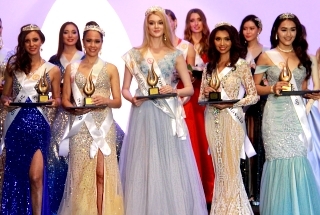 She also became one of the youngest winners in Miss International history, bagging the title at 18 years old. She now works as a journalist, actress and TV personality in her native country. This beauty queen-lawyer was crowned Miss Earth 2016 in the Philippines, making her the second Ecuadorian to win the Big5 crown. During her reign, Katherine was appointed Philippine tourism ambassador and an honorary member of the League of Vice Governors of the Philippines. She is now the CEO of Miss Earth Ecuador. 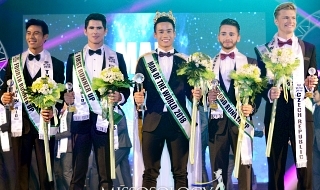 This Korean model was named the 12th Mister International during the finals held April 2018 in Myanmar. SeungHwan is studying sports rehabilitation in university. Many would recognize her as Miss World Denmark 2008, but now she is the CEO of the Miss Denmark organization. She is also a professional model and TV host and producer. Aside from that, Lisa has been on the Danish national team of Taekwondo (Poomse) since 2003. She is currently the national coach of Taekwondosamband Íslands. She was the first woman of color, and the first candidate from Miss Supranational, in history to make it to the Missosology Timeless Beauty Top 5. This violinist, model and TV host was third runner-up in Miss Supranational 2017. Chris is a familiar figure at major international pageants because he has been holding the franchise of Haiti at three of the Big 5 pageants. In 2016, he had put Haiti on the pageant map when Raquel Pélissier placed as 1st runner-up in Miss Universe. A year later, he sent Curacao’s Chanelle de Lau to Miss International where the latter also placed 1st runner-up. With 20 years of experience in the beauty industry, Lyron began a new path by preparing queens, models, and producing beauty events. Lyron joined Cybeco Organization in 1994, which organizes ‘Miss Curacao’ and ‘Miss Teenage Curacao’. In 2000-01, he became part of the REPROD organization. 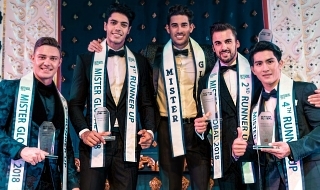 He is currently the national director of Mister International Netherlands, which he has been organizing since 2014. An avid pageant fan, Andrew is more popularly know as the blogger of “The Pageant Spotlight” on Instagram. Being an uber pageant fan since the age of 8, this resident pageant expert of the Missosology forum and evening gown connoisseur, is passionate about everything fashion, pageantry and beauty related. Donald is responsible for the training and refinement of several Vietnamese beauty queens. He is currently concentrating his energies in finding the next Miss Universe and World Vietnam. Pedro is a Mexican producer, one of the founders of the Miss Star of Russia beauty pageant. He is devoted to philanthropy, and the head of the non-governmental organization “Ruyalar”, which has launched projects together with the United Nations Refugee Agency in the Middle East, since 2014. He has been awarded by the Russian Ministry of Foreign Affairs, due to his contribution in the cultural sphere. HI JUDGES, HOPE YOU ARE READING. SELECT THE BEST AND NOT JUST HYPES AND SOB STORIES. COZ IF YOU WILL NOT SELECT THE BEST WINNER ACCEPTABLE TO ALL, OR ELSE ANOTHER ETHEREAL BEAUTY AWARD WILL EMERGE. Hopefully, they will crown a timeless beauty both inside and out. HI JUDGES, HOPE YOU ARE READING. SELECT THE BEST AND NOT JUST HYPES AND SUPERFICIAL BEAUTIES. COZ IF YOU WILL NOT SELECT THE BEST WINNER ACCEPTABLE TO ALL, OR ELSE ANOTHER ETHEREAL BEAUTY AWARD WILL EMERGE. He is TRASH. He is the most disgusting thing that has ever happened to Viet pageants. He spent his energy sabotaging so many Viet girls just because they didn't hire him. He emailed MS national directors to ganged up against Minh Tu because MS-Vietnam Org didn't give him free ticket to watch the MS final show, among MANY ugly things he's done. He is the most hated man in Viet pageant community. I want him dead. Definitely that Donald Nguyen is a trash of trash !! What credibility does he have to judge anyone? Missology .. you better do your homework before you elect someone to be a judge ! !